Sydney’s property market has witnessed much change throughout 2018 as the prices growth over the last three years starts to moderate, and in some cases, prices in certain areas of Sydney have come-off from their peaks reached in 2016 and 2017. While the media has been focused on these changes, with some experts warning against buying in Sydney, clever investors are eagerly pursuing real estate investments. Yet, isn’t this counter-intuitive when the prevailing market conditions seem to argue against investing in property? Professional investors read the market differently and learn how to profit no matter the market’s direction. This is the philosophy of one of the world’s leading investors. “There has never been a better time to invest in real estate,” says Robert T. Kiyosaki, famed author of the Rich Dad Poor Dad series of books on financial education. Kyosaki is currently touring Australia giving seminars on investing, borrowing from some of the lessons he teaches in his acclaimed books. Kiyosaki teaches throughout his books, programs, and financial seminars that investing is often about mindset. Successful investors have a different mindset to the multitudes that never invest and therefore don’t have the opportunity to have their hard-earned savings working for them. When it comes to property investing, Kiyosaki suggests a different mindset. This is why his message that ‘there has never been a better time to invest’ is so different from the prevailing opinion in the media. The difference between seasoned property investors, like Kiyosaki, and those with far less experience in property investing comes down to being able to identify opportunities. When property markets change direction, professional investors are able to spot opportunities that would otherwise remain hidden, giving them an advantage over investors who may become caught-up in the prevailing market mood. Simply put, the opportunity investor is adept at finding value where other investors don’t see it. Vision Property & Finance’s Matt Ivers deals with this question every day, and like Kiyosaki and other professional property investors, he has become skilled at seeing opportunities others may miss. Ivers’ success with recent clients, however, has hinged on being able to uncover value where others couldn’t see it. The right opportunities came up at the right time for Ivers’ clients, and today the media is turning its attention to the news that property investors are starting to buy up apartment stock in Brisbane. Ivers’ clients are fortunate to have been well ahead of other investors but couldn’t have hoped to achieve great outcomes with their own investments if Matt’s trained eye was not able to detect value. This unique combination of factors has left Ivers’ clients very happy with the result. Not only have they been able to generate strong rental incomes in a very popular part of Brisbane but in both instances, post-construction estimates of their apartment’s value have seen increases for each property that are above average. None of these outcomes could have been achieved without a keen eye for hidden value. 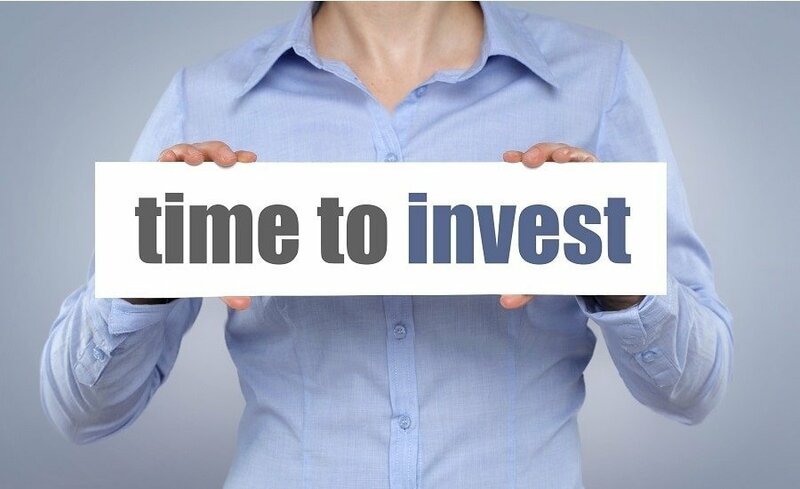 Thinking about investing is very different from taking action, and Matt Ivers and Robert T. Kiyosaki are agreed that doing something now to begin your investor journey is better than waiting for the right time. Ivers and Kyosaki both offer financial education to help make your journey a successful one. The difference is; Matt will actively work with you to provide the property investor experience you need. He will guide you from the very beginning as you set your investment goals, right through to helping you find the right industry professionals to assist you to manage your real estate investments. You receive one-on-one attention from an advisor with a solid track-record of client success. Now is your time to take a step toward becoming a successful property investor. Call Vision Property & Finance today on 1800 004 663 or contact us to speak with one of our expert property investment advisors today.